Rob Enderle writes that fixing a bad process starts with a focus on the original goal. 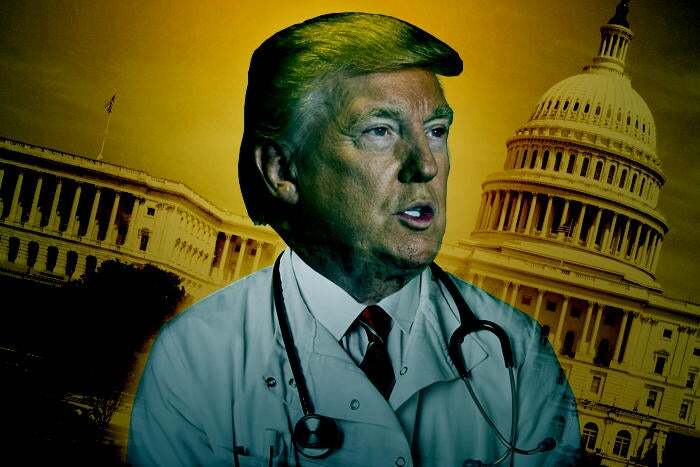 Unfortunately, the Trump administration seems to have lost sight of the actual goal surrounding replacing and repealing the Affordable Care Act and will likely make things worse. The Trump presidency is starting to become a tad too ironic for me. At this point, I’m almost waiting for someone to question where the guy was born. But the latest drama/irony this week is how he is attempting to “repeal and replace” the Affordable Care Act and the process looks like what often happens in a public or private bureaucracy. The folks who are directing the change have somehow lost complete track of the goal and now are just focused on effectively rearranging the chairs on the Titanic because they’ve realized that actually fixing the problem is both too difficult and dangerous. Now when you have a bad process you can typically take one of three paths: You can identify what isn’t working and fix it, or you can start from scratch and recreate it. I’m a big fan of the latter because, that way, the entire process has stronger integrity in that it was designed as a whole and not ad hoc (some appear to agree). However, any process going through the government has a tendency to be designed by committee and that can be just as bad. By the way, the third path, is to run away and make fixing this someone else’s responsibility, which is often the truly smart career move for something this high profile. Let’s talk about how to fix a bad process. We’ll use the Affordable Healthcare Act, soon likely to be called Trumpcare, as a bad example. You get the sense that the primary goal of this effort is for them to be able to say they repealed and replaced Obamacare, or, in other words, that they actually accomplished something. But the goal should never be to appear like you did something. It should be that you actually did something. However, with managed expectations it is generally far easier to create the impression of accomplishment than actual accomplishment. In this case, the goal should remain consistent with the initial effort and that is assuring the “affordable” part of the law. Other than being incredibly, and excessively, complex the main problem needing to be addressed was the high cost of healthcare, however, that was largely left out of the initial effort. It simply shifted the cost burden to the state and fooled insurance carriers into taking on more of these costs than they realized. This resulted in insurance premiums spiraling up, coverage down, and costs that were outside of projections. Now we know that the causes for the excess cost are from three primary areas. Litigation, which forces high medical costs and results in excessive and largely unnecessary expensive testing, drug costs that are already excessively high in the U.S., and system inefficiencies largely resulting from an inability to share information for a variety of reasons including privacy regulation. This has created a lousy mismatch of high cost for care and relatively low quality. The core goal should be less about who pays and more about getting a reasonable value for the money initially. If the cost is affordable then who pays it becomes far easier than if it isn’t. If you can’t fix the cost problem the programs remain unaffordable regardless of who pays for them because the U.S. government receives its income from its citizens. Shifting the burden to government just adds extra bureaucracy and cost to an already overweight system. It simply becomes a shell game where the citizen always loses. Now there was one mistake that was made in the initial analysis of cost that came to light a few years back when a forensic deep learning system, Beyondcore, was applied to the problem. That was that the assumption that millennials would pay much of the cost for boomers because they would incur far less medical expense. This was one a main factor driving the law forcing everyone to have insurance. However, it turned out that millennials have significantly more mental health issues and because that wasn’t taken into account they aren’t cash positive, and that largely led to the budget overruns. So, this too needs to be factored into the new system. There is always a choice between actually fixing something and just making changes to look busy. To fix any process, you can’t lose track of the original goal, and the goal is never to just fix a process, the goal is to make the process work as intended. Otherwise, you’ll just waste a ton of time just looking busy, which looks to be the case with the current republican effort. Meanwhile, if you believe that actually fixing the core problem is impossible, walk away because otherwise you’re going to make things worse, which is likely to be the outcome of the Trumpcare effort. If they actually make things worse their ability to hold on to government control likely goes from difficult to impossible pretty quickly because this act pretty much touches everyone. So, the three parts of a good process fix are to keep a sharp focus on the original goal, not change for its own sake; to keep the thing as simple and complete as possible; and to assure at the end that the core goal was met. If you can’t do that, then walk away before you get buried by the bad result. I think we are about to see this latter unintended consequence in spades.